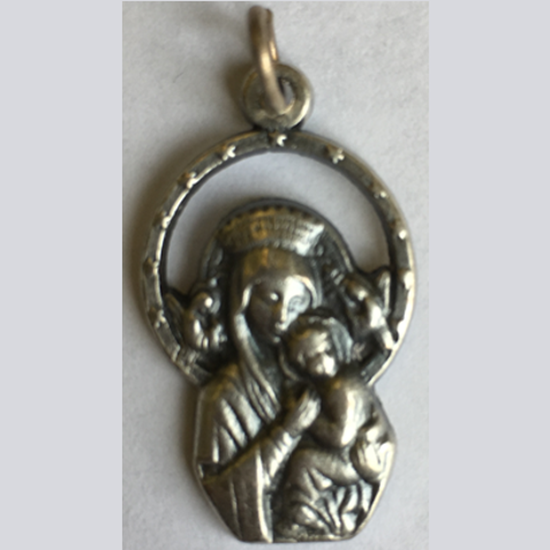 A Madonna is a representation of Mary, either alone or with her child Jesus. These images are central icons for both the Catholic and Orthodox churches. The word is from Italian ma donna, meaning 'my lady'. 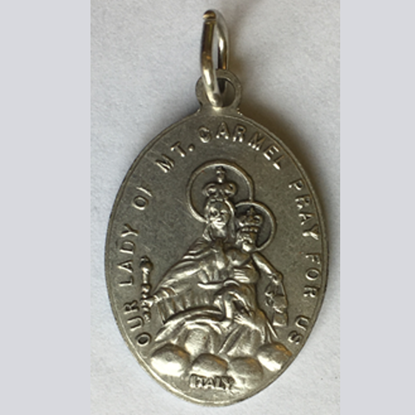 Our Lady of Mount Carmel is the title given to the Blessed Virgin Mary in her role as patroness of the Carmelite Order. 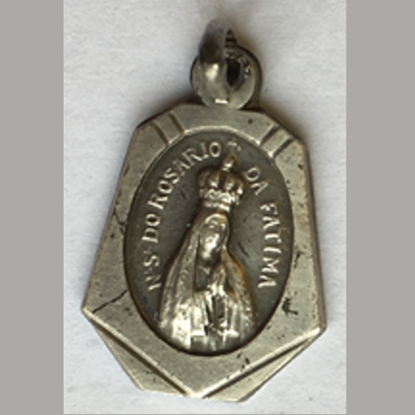 Our Lady of Fátima, is a Catholic title of the Blessed Virgin Mary based on the famed Marian apparitions reported in 1917 by three shepherd children at the Cova da Iria, in Fátima, Portugal. The three children were Lúcia Santos and her cousins Jacinta and Francisco Marto.